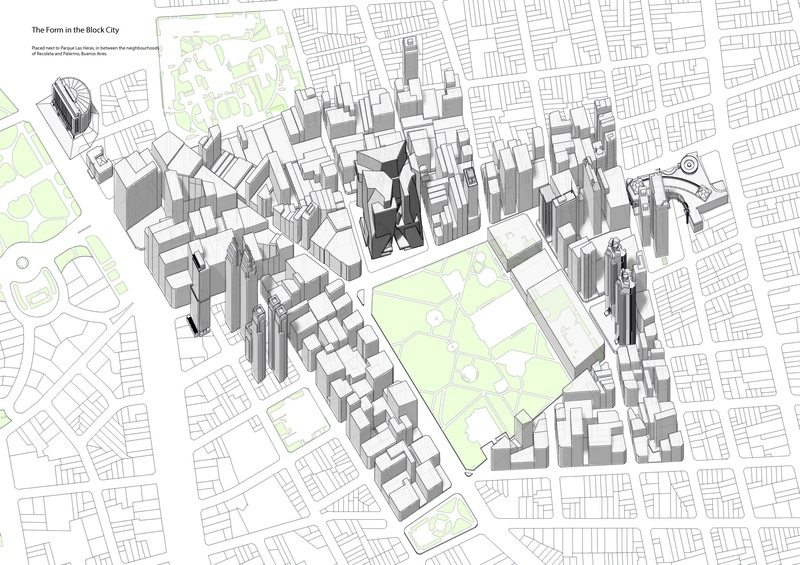 The unit will recapture the first blocks modeled at the beginning of the year and will redefine them after an intense conversation on the implications of inserting them into the urban context, and specifically, within the Santiago grid. The placement of the block in its particular location will bring the context forward as a sharpener of first formal organizations helping the progress with the block design definition. This reflection on the block form will establish a connection between the block and the grid.